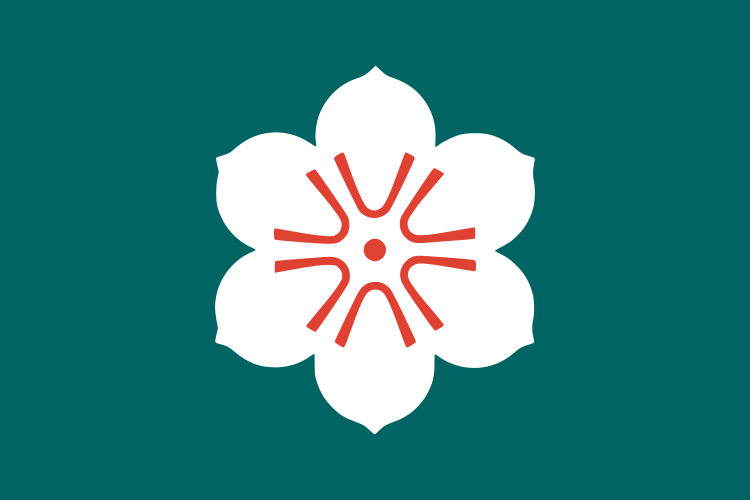 The flag of the Japanese Prefecture of Saga consists of a white flower with six petals with red stamen and pistil centered on a dark green background. White represents sincerity and passion and dark green represents hope and peace. This flag as adopted on December 11th, 1968.